There are opinions and there are facts. If someone is blamed for bad behavior and the accusing party prattles on, it can become a nightmare for the person being attacked. Others can get the impression the accused is an awful person. In reality, the accuser might be skewing a story to appear a victim. We’re not here to say whether people have a right to their opinion, but hurt feelings and facts are two different things. If the complaint has reached a courthouse, the prosecuting party had better be ready to back up their statements with proof. If you’ve ever received a Bureau of Automotive Repair citation letter, you might understand how devastating it is to be incriminated without all the facts! A STAR certified technician can work hard each day to offer the same professional SMOG testing to every customer. 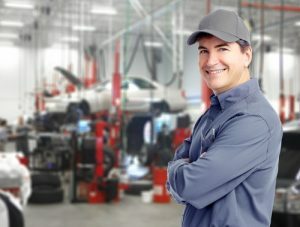 If for some reason a car does not pass the inspection, a customer could become frustrated and look to blame someone. Complaining to the Bureau of Automotive repair might be their course of action. When a SMOG shop owner receives a citation, there could be more to the story than the BAR knows. At this point, the only best defense is a top defense attorney to defend against the Bureau of Automotive Repair who can get the facts for a Bureau of Automotive Repair Citation. For anyone who has been a parent, one tough part of the job is keeping things civil among siblings. It’s easy to become overly involved in the drama of “who hurt who first.” At the end of the day, the grown-up in charge gets tired of the whining and wants to find out the facts. Did Billy grab Jimmy’s favorite toy and break it? Or did Jimmy break the toy and Billy found it on the floor? Either way, the truth is probably less dramatic then the kids are letting on. If a Bureau of Automotive Repair citation letter arrives, an auto shop needs to get straight to the facts, too. The complaint may not have enough information to actually be valid, but it’s going to take an auto defense attorney to make that argument. Whether an auto shop is guilty of a SMOG violation or not, the Bureau of Automotive Repair must know all the facts before moving forward. A top defense lawyer skilled in fighting SMOG accusations can get to the truth. Feelings aside, a STAR certification is a seriously important asset to any auto shop owner. If a customer accuses a shop of auto repair fraud or SMOG test violation, an invalidation could close up a shop. Everyone has a right to their feelings, but no one has right to ruin someone’s livelihood because of them. If you’ve received a Bureau of Automotive Repair citation, call our expert defense attorneys. We can help your case and separate fact from fiction.